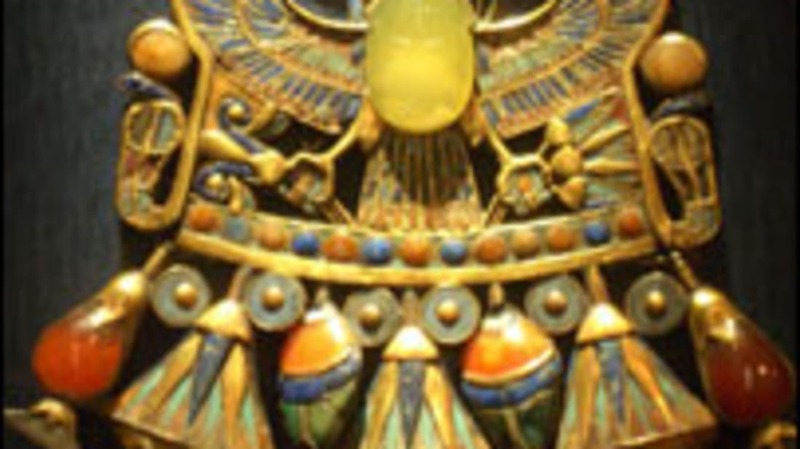 In 1996 in the Egyptian Museum in Cairo, Italian mineralogist Vincenzo de Michele spotted an unusual yellow-green gem in the middle of one of Tutankhamun's necklaces. The jewel was tested and found to be glass, but intriguingly it is older than the earliest Egyptian civilisation. In 1908, a massive explosion flattened 80 million trees in Tunguska, Siberia. Although there was no sign of a meteorite impact, scientists now think an extraterrestrial object of some kind must have exploded above Tunguska. [One geophysicist] wondered if a similar aerial burst could have produced enough heat to turn the ground to glass in the Egyptian desert.